We love Death. Not the kind where you kick the bucket, pop your clogs, shuffle off this mortal coil, snuff it, croak or sleep with the fishes. No, silly! Brits in Toronto loves Death, the character in Supernatural, as played by the versatile Julian Richings. He’s also appeared in over 50 films and TV shows such as Orphan Black, Hannibal, Man of Steel, X-Men: The Last Stand, Cube and The Colony. Julian was born in Oxford, England and moved to Toronto in 1984 … which is perfect for us and this blog post entitled Successful Brits in Toronto. I toured with a British theatre company in 1980. We slept on couches and floors and relied on the hospitality of other artists. It was a frugal existence but we gained a hands-on insight into the daily struggle of other performers. We had gigs in Toronto, Chicago and New York. I fell in love with Toronto. Its vigour, its lack of pretension and its clear sense of an emerging voice. It has remained an exciting and challenging place for me, and on a personal level, I fell in love with a gal from the city. We’ve been married for 30 years and raised two children here. My first gig was at the (then) Burton auditorium at York University. Staff at Theatre Passe Muraille saw it and invited us to perform downtown in their space before returning to the UK. From there we were invited back to a Toronto theatre festival the following year. I like all the seasons except high summer. The humidity in August is pretty dire, coupled with the over-compensating air conditioning in shops and cinemas. You wilt then you freeze. I don’t make a special effort. Sometimes I get categorized together with other Brits in casting sessions, where we all have a natter and talk about football and other important topics. We tell each other to “break a leg” then go on our merry way. I steer clear of pubs with faux British names or where servers wear kilts. And I like cold beer! Enjoy. Explore. It’s a truly magnificent city. 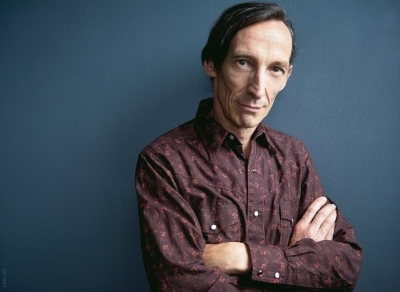 This entry was posted in Uncategorized and tagged brits in toronto, julian richings, successful brits in toronto on July 11, 2015 by britsintoronto.